A time-proven foundational program available and adhered to now for well over a decade! Join the thousands that have found success by saying YES to Dr. Dan's feeding program... and saying NO to commercial mixed feeds and pellets... NO to salt/mineral blocks and rocks... NO to hydrogenated fats... and NO to so much more that you can choose to control! "Don't just guess with what comes from the FEED bag...Know what's going into the bucket. With the Feed 4 Success program there is no guessing." Feed Oats plus Hay or Grass... The "Original Low Starch Diet"
To the Oats add, our Just Add Oats 2xsupplement. If you're looking for a vitamin, mineral probiotic type multi-use product, look no further than our Just Add Oats 2X product. The chances of getting the right balance from commercially mixed feed is slim and the bag proves it! "Check your feed bag label for yourself! If your horse is not getting each day the exact amount of feed for his specific body weight then he is either getting too much or too little of the vitamins and minerals that was added to the grain mixture. By feeding oats instead of commercial mixes you can give the amount of oats that your horse needs for his metabolism - easy keepers just a little, for hard keepers you give a little more ---- but you add our Just Add Oats supplement (the vitamins, minerals etc) right on top of the oats assuring your horse gets what he needs. Besides, oats are more natural than pellets. Pellets are cooked and I don't know any horse that eats anything cooked that is in the wild, do you? Also, I am sure you also know that cooking does destroy nutrients. Plus, contents of each batch of commercial feeds can vary batch to batch depending on what is available and less costly. With oats and the JUST ADD OATS supplement you always know what you are getting. Every bucket full is always the same!" Now... To the Oats also add, our Weight Check Oil supplement. 3, 6 & 9 Omega Fatty Acids Are Beneficial To Any Horse's Diet! Every cell in the body is surrounded by fat which allows nutrients into the cell and waste to get out. The hydrogenated fats found in almost every commercial feed causes cell membranes to become like plastic, preventing this exchange of nutrition and waste. It's been proven in people that hydrogenated fats cause insulin resistance, obesity, Type2 diabetes, etc. Hydrogenated fats are no friend to our horses and pets! The oil is from the actual soybean itself. There is a difference! Weight Check Oil is cold-pressed processed- not heat-processed and contains NO Hydrogenated Or Processed Fats! Its source has not been genetically engineered. If your horse needs to lose weight or maintain his current weight, give 2 oz per day. If he needs to gain weight you can add more. Extremely palatable. Throw Away All Salt and Mineral Blocks and Make RED CAL Available Free Choice At All Times! Our Red Cal supplement is a formulation and combination of calcium, micronutrients and herbs to help keep your horse healthy. It is fed "FREE CHOICE", so its easy. And although you let them eat all they want, its economical too! Typically a 25 lb bag will last from 100 200 days for one horse but will vary depending upon the individual needs. Did you know that salt & mineral quality varies greatly? Unlike most, RED-CAL is not bleached, kiln dried, heated, or altered with chemicals or pollutants, its balanced by nature, not by man. The minerals utilized are the finest available, with detail especially to purity and absorption. You can expect support for stronger bones, muscles, ligaments and better performance regardless of discipline. We believe this is our finest product yet developed and your horse will prove it. It is OK to use along with any of our other products and for any horse, any age. 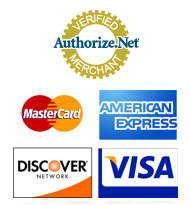 Provide free-choice, year-round, 24/7 for best results. Additional Info: When first introduced, it is not unusual for animals to consume higher amounts. Always provide a good source of water. Rain and weather does not diminish effectiveness. Pour excess water off and continue feeding. For best results remove other forms of salt and salt/mineral blocks. One heaping tablespoon equals approximately 1 ounce. One scoop equals 2 oz. (scoop not provided in 25 lb size). 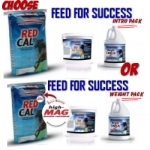 Note: RED CAL "HI-MAG" FORMULA AVAILABLE IN THE "WEIGHT PACKS". The "Hi-Mag" version is the regular RED CAL formula, but with 6% added magnesium. The Hi-Mag Red Cal formula in the Weight Pack offering is especially great for fat, overweight, "cresty neck" easy-keepers, but still wonderful for any horse! HD version of segment produced for HorseCity.com in 2009, Dr. Dan Moore The Natural Vet discusses the principles behind his "Feeding 4 Success" program for your horses. An older/archived and uncut discussion from Dr. Dan Moore The Natural Vet about the principles behind his "Feeding 4 Success" program for your horses.